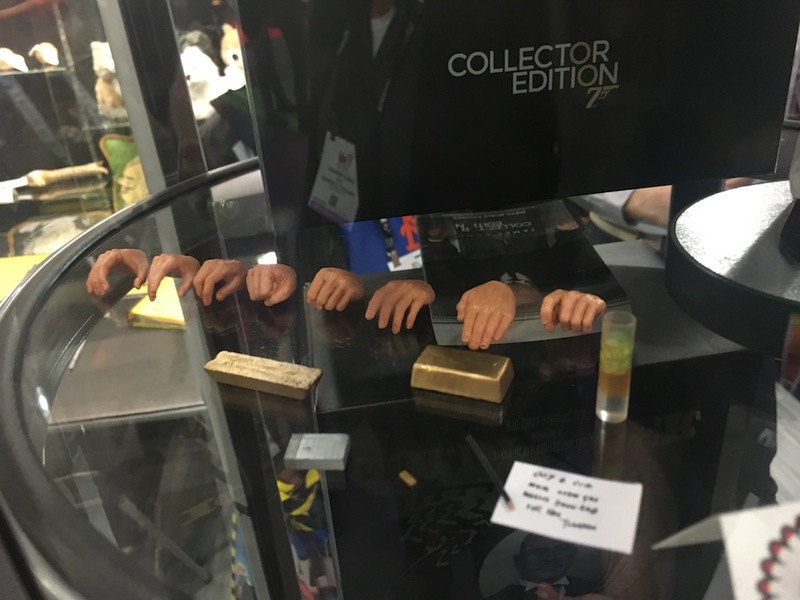 One of the best things about Toy Fair is happening upon something unexpected that stops you dead in your tracks. I’ll say it: I’m shaken AND stirred. 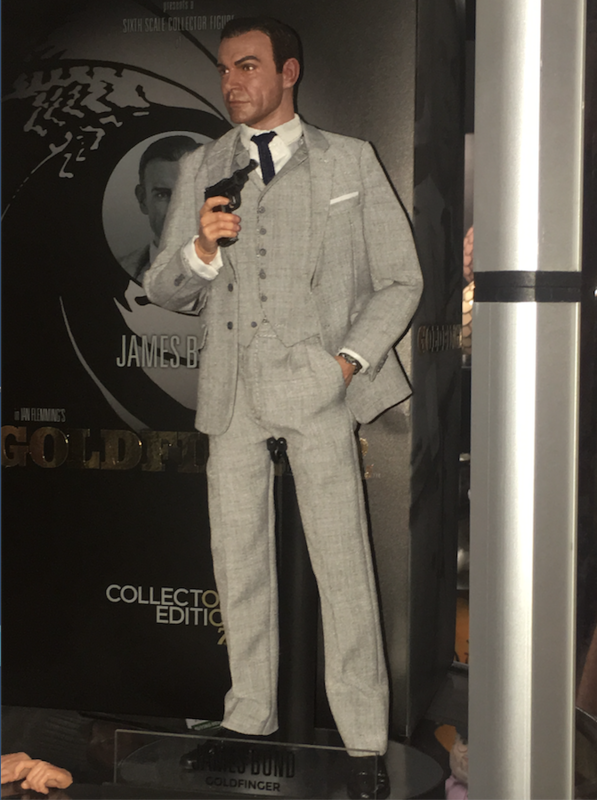 I have been waiting what feels like 007 lifetimes for a first-rate James Bond action figure and here it is, courtesy of England’s Big Chief Studios — along with two others from the film Goldfinger. That said, I’ve never been a huge collector. Part of it has been money, timing and access. The real collecting heyday was in the ’60s and I was too young for that. 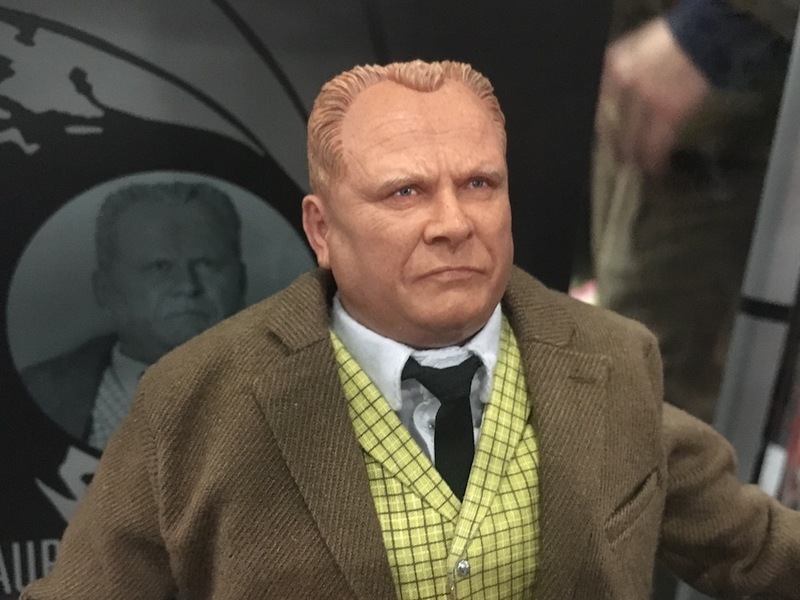 The only Bond toy I had as a kid was a Gilbert miniature from Thunderball that I won at the boardwalk on the Jersey Shore when I was maybe 10. It had probably been sitting there for more than 10 years. It was gone to the ages but I replaced it — and added five more — a couple years ago, thanks to the magic of eBay. 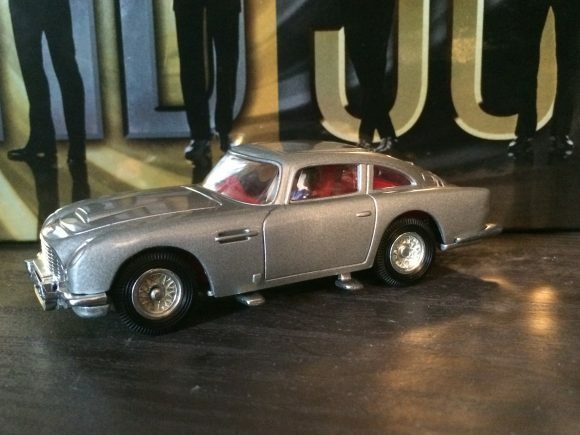 And I have picked up two of the Corgi Aston Martins, a childhood Holy Grail that escaped my grasp at the time. 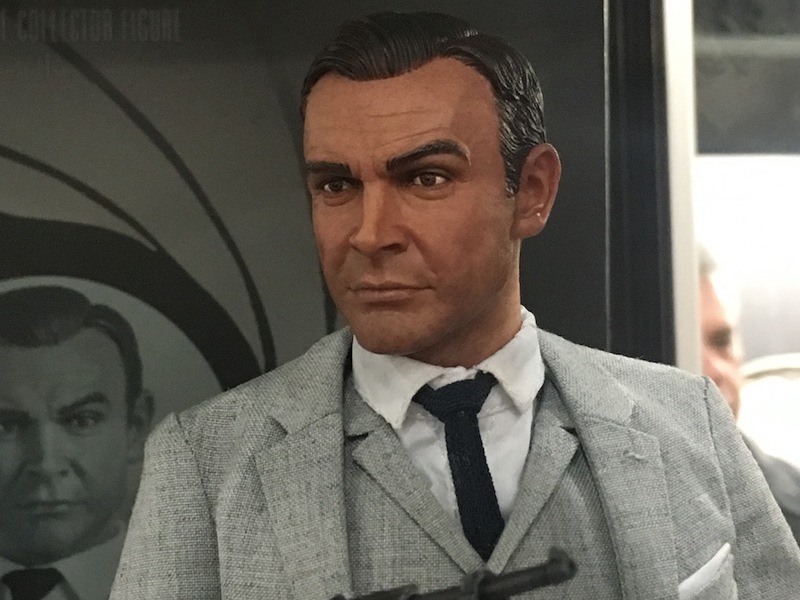 But I’m an action-figure guy first and that’s an area where 007 has had a checkered history. Everything I’ve seen online has either left me cold or doesn’t feel like its worth the asking price. Or is well out of my price range to begin with. 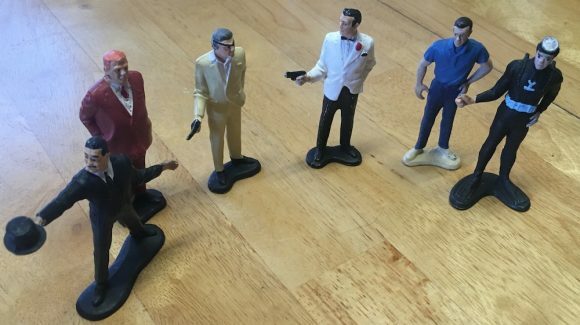 Just look at these brilliant figures, including Sean Connery’s Bond, Harold Sakata’s Oddjob and Gert Frobe’s Goldfinger. 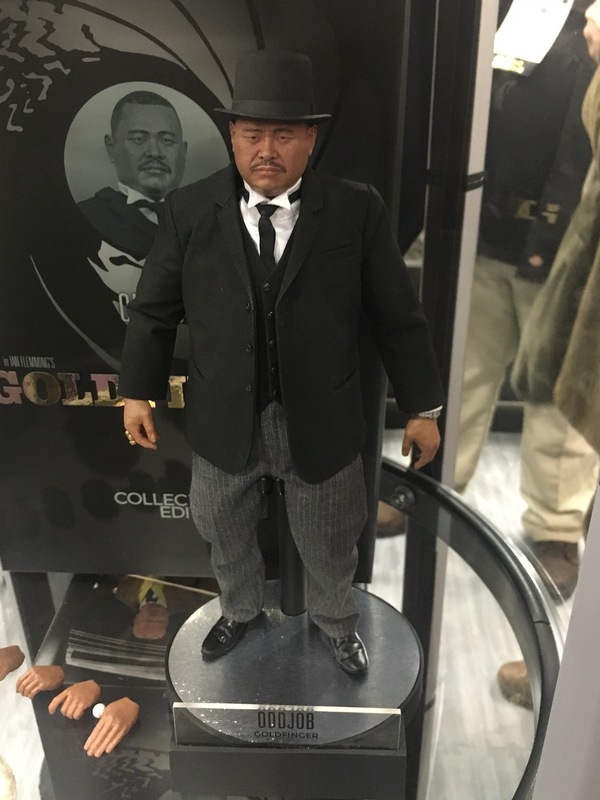 Aside from the startling likenesses, I’m struck by how well the clothes fit these figures. 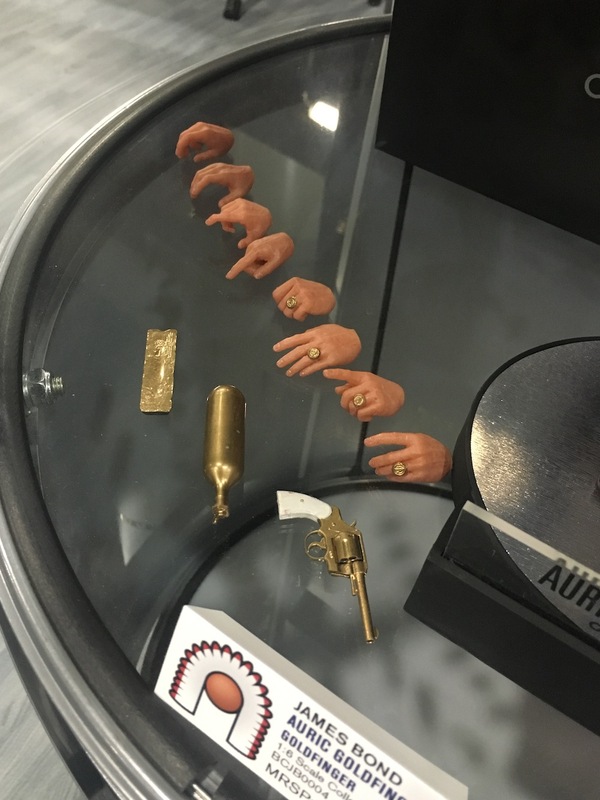 (Not to mention the clever accessories.) So often, male action figures who wear civilian clothes look like they’re swimming in them. Or they are so bunched up they look like they could never lift their arms. 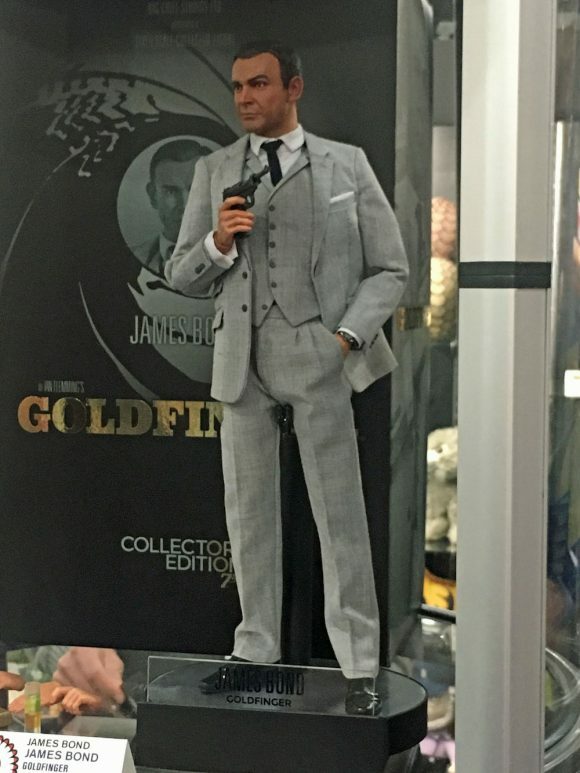 I mean, Bond looks he just got back from a 1/6-scale version of Savile Row. Best part? This appears to be only the beginning. Company directors Mark Andrews and Tony Leetham have long-range hopes and plans for this line, including other Bonds, other villains — and yes, Bond Women. I have to give credit to EON Productions for green-lighting this. 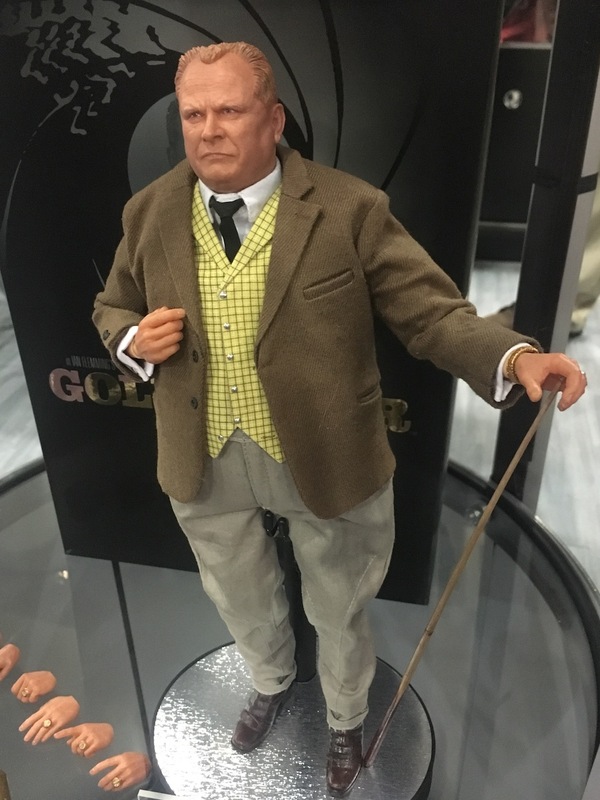 The rights-holders have been very protective of the Bond license, which is one reason there’s been relatively little on the collectible front over the last few decades (save toy and model vehicles), compared to other major film franchises. 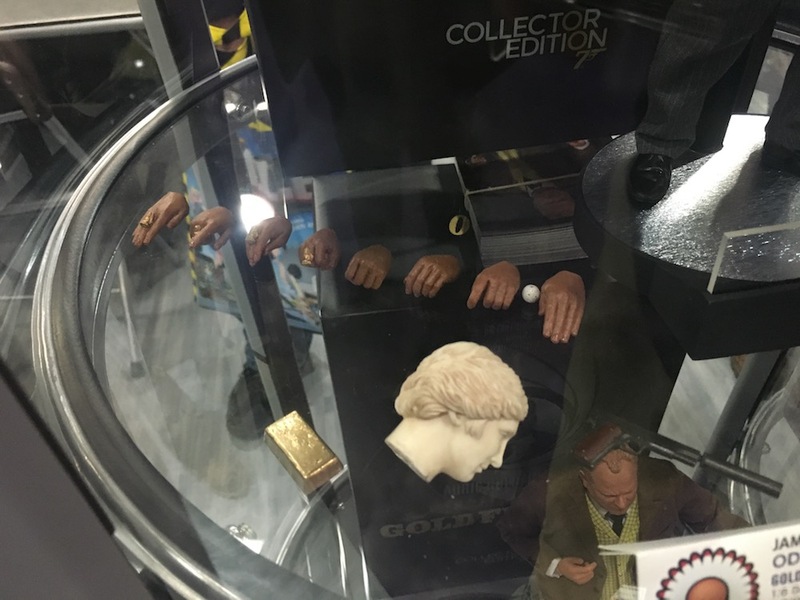 A severed statue head? Brilliant. Oh, and my wish list? Christopher Lee’s Scaramanga, Donald Pleasence’s Blofeld and, of course, Ursula Andress’ Honey Ryder. 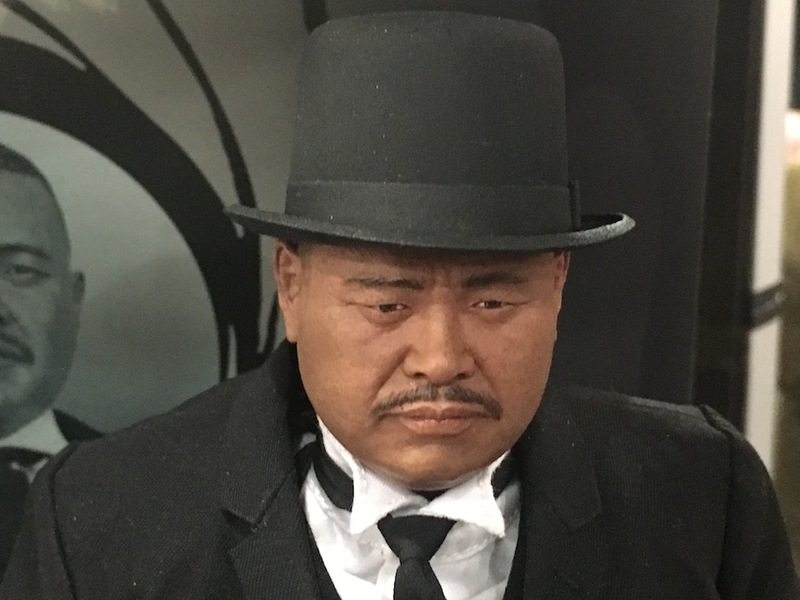 Dr. No? Dr. YES!